After seeing all the advertisements for kids to read this summer, I became inspired to do some more reading, too! I had such a good time with these books that I wanted to write about them so that anybody reading could enjoy them as well. 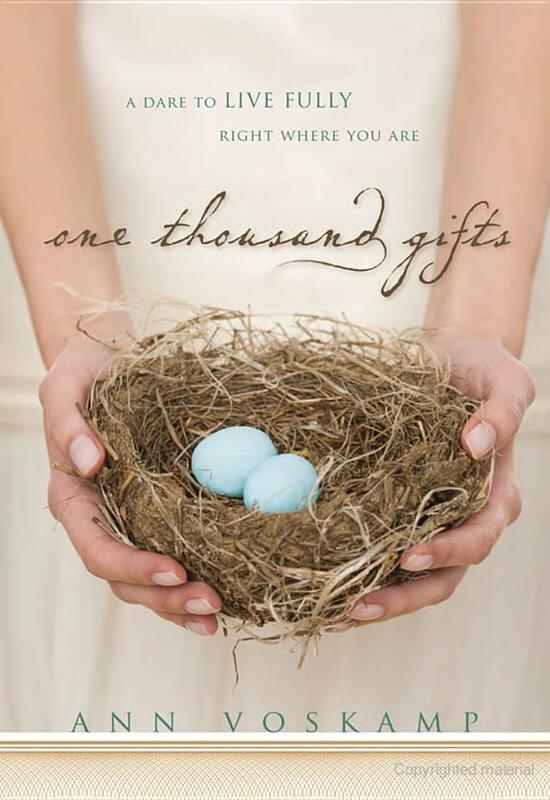 First of all, One Thousand Gifts by Ann Voskamp is on my top ten list of favorite books of all time. Through this book and the tie-ins she makes to Scripture, I have realized that gratefulness is the antidote to most of my major struggles–pride, anger, worry, and selfishness. I have begun asking God to make my heart a thankful one, and I have a long way to go, but I am trying (with His strength) to replace these struggles with thanksgiving. On top of the lessons I learned through this book, I just enjoyed reading it–it was so poetic and beautiful! I never really watched Mister Rogers’ Neighborhood when I was little, but after reading this book, I’m Proud of You, by a man who became friends with Fred Rogers (mostly via mail and email), I think I need to start showing my kids the show. 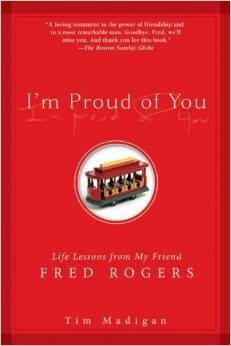 I was amazed by the depth of Fred Rogers’ sincerity and love for others, as well as by his humility. I was especially struck by the fact that whoever Mr. Rogers was talking to at any given time became the most important person in the world to him at that moment. 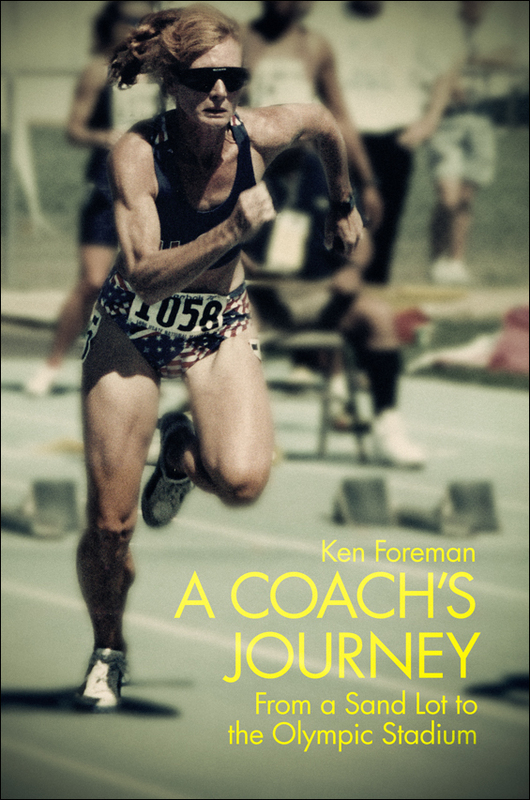 A Coach’s Journey was written by my former college track coach, Dr. Foreman, and although it’s mainly written for other coaches or mentors, I found it inspirational for me as an athlete, too, especially as I’m training for my first marathon. It’s filled with all the interesting stories that I wished I could have heard from him in college (I was a distance runner, and he mostly worked with sprinters/field athletes, so I didn’t get to hear all the cool stories that others did). Dr. Foreman has worked with a lot of amazing athletes for a long time, so he has a lot of great advice for coaches and mentors as well as stories of athletes that inspire. This study of Daniel by Beth Moore is not really a book to read–it’s a workbook–but I just always think it’s so interesting when God puts together a curriculum for me to study, and I don’t realize it until later. This was the first piece of the curriculum. 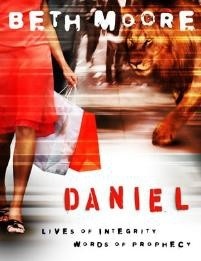 Daniel is about the upright man who gets thrown in the lion’s den, and it does involve a fiery furnace, but also, a huge portion of the book is dedicated to prophecy, both fulfilled and yet-to-be-fulfilled. It was fascinating! Now, I know it seems obvious that this book, Epicenter, by Joel Rosenberg, is about end-time prophecies and therefore deals with some of the same topics as I was reading in Daniel, but I promise that I didn’t make that connection (and the other connection that I was also in the middle of studying Ezekiel on my own–the place where Rosenberg finds most of his prophecies) when I chose to start listening to this. I’m still in the middle of this one, so I can’t make much of a judgement about it yet, but I can say that it’s very interesting and fit together perfectly with what I was learning. 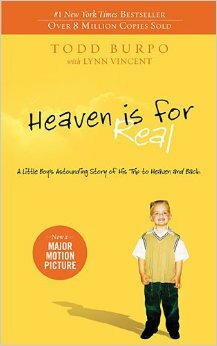 This book, Heaven is for Real, by Todd Burpo, was the next piece in my God-ordained curriculum. My very good friend told me that she was reading a really interesting book and started telling me about it but stopped when I told her that I was interested enough to read it myself! That day I went to the grocery store, saw it on a special stand right in front of my check-out line for sale, so I bought it. It has to do with prophecy only because the boy in it says that he went to Heaven and saw Jesus (and some deceased relatives), future fulfillments of some of the prophecy I was studying. If you ever get a chance to read this one, I recommend it. Maybe the boy didn’t really go to Heaven, but you’ve got to at least read it to make the decision for yourself (after all, it’s an extremely quick read). Call me naive, but I believed the boy’s story–I didn’t feel it went against anything in the Bible as some say–and as the title says, it made Heaven seem so much more real to me. I don’t want to give much away, but I have more hope for my miscarried child than I did before, and I look forward to seeing my dad and sister all the more. I did make the connection with the others when I read this one–don’t worry. 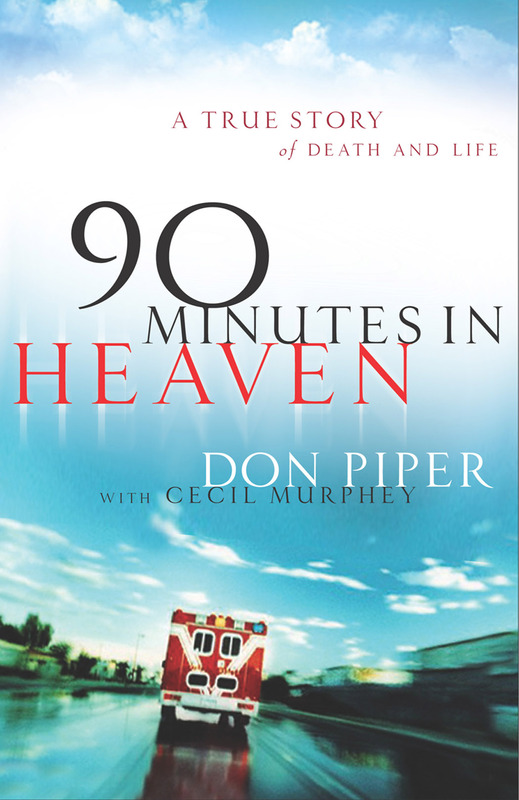 My mom suggested this book, 90 Minutes in Heaven by Don Piper, so I checked it out from the library. If you haven’t heard about it, it’s a true story of a pastor who dies in a terrible car wreck and is medically dead for 90 minutes. During that time, he says that he went to Heaven (but didn’t quite get past the gates before he was brought back). Through many miracles, he is brought back to life and starts a very long healing process. In fact, only one chapter is about Heaven. The rest are all about his difficult healing and near the end, how his story affects others. I’m so glad that the advertisements and the summer reading program at the library got me reading again! I also read a few Mitford novels–they’re light, but I just love them! My goal now is to finish all the Runners World magazines I’m behind on reading, and then I’m starting on a history book of how the Jewish people have changed the world–The Gift of the Jews.